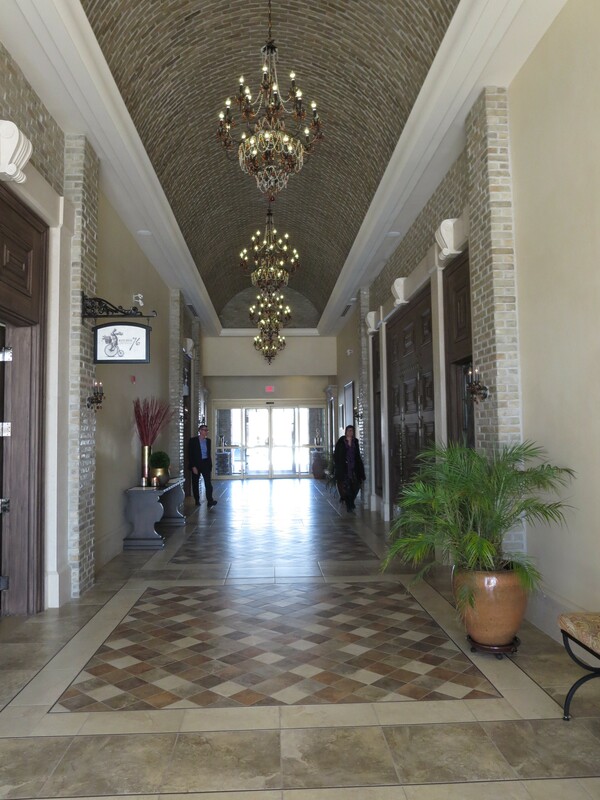 Walking into the Grand Ballroom was like walking into a beautiful dream. 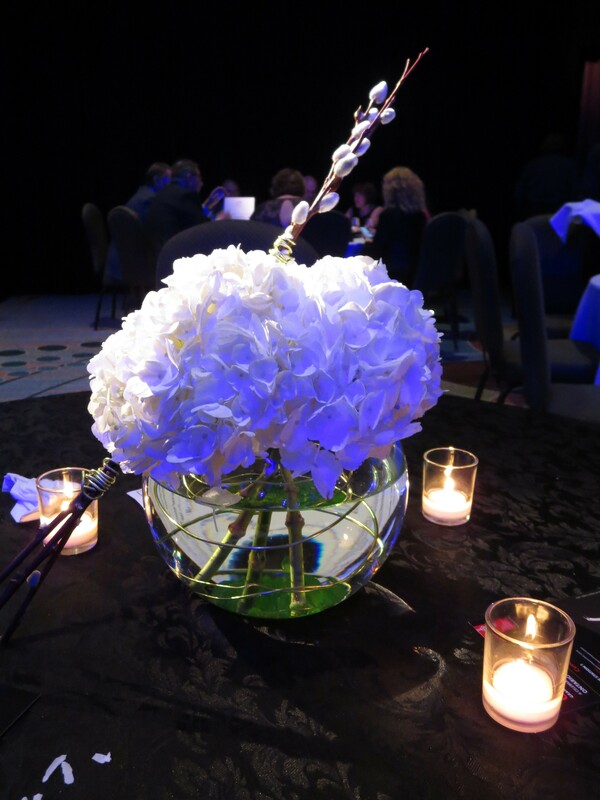 The room, which is basically black, was magically lit with vibrant purple and white lights shining on different food stations with chefs in their crisp white jackets and toques. 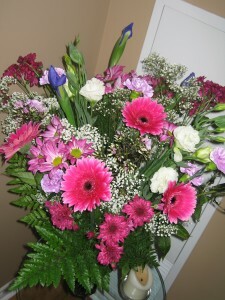 And, in every direction you look there were magnificent floral arrangements. 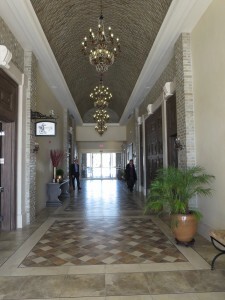 Throughout the room there were seven oasis-like stations with six to eight wineries at each. Each wine station featured wineries pouring only reds or only whites. That made it easy to compare, and it also made it easy to find a wine to pair with whatever you were eating. The 13 food stations (as well as a Canadian cheese station) were interspersed between the wine stations. 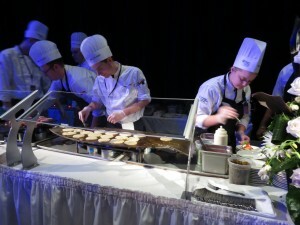 At each station a myriad of chefs were carefully plating each dish. It was wonderful watching them lovingly layering each component. It’s clear that today’s chefs take the old adage that you eat with your eyes very seriously. They also take their ingredients seriously and because they were right there, you had the unusual chance to chat with them and ask them how they prepared the dish, or why they chose each component. I also adored Chef Parsons’ wild boar sausage with braised leek, gold fingerlings, Sir Laurier cheese (one of my favourite Canadian cheeses) and black garlic gratin. My sister’s favourite entrée was Chef Tim Mackiddie’s fried veal croquette, which was served with snails sautéed in garlic and icewine. 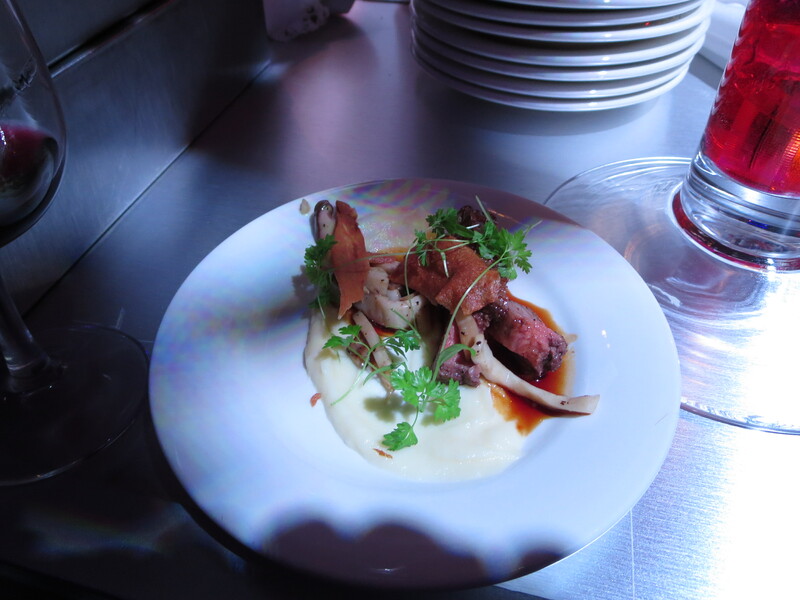 And both of us loved Chef Taylor’s pepper crusted bison tenderloin, served on a bed of parsnip puree with some king oyster mushrooms on top. 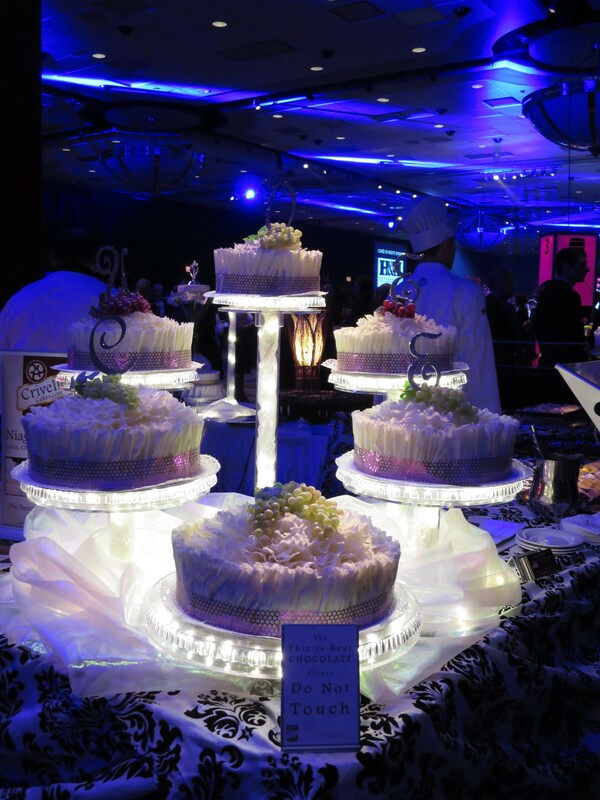 And of course, the desserts were the grand finale. It was hard to choose between the white chocolate-coated cakes, the Croque en Bouche, the truffles, and the torts. Fortunately, Chef Del Priore was only too happy to let you have all that you like. 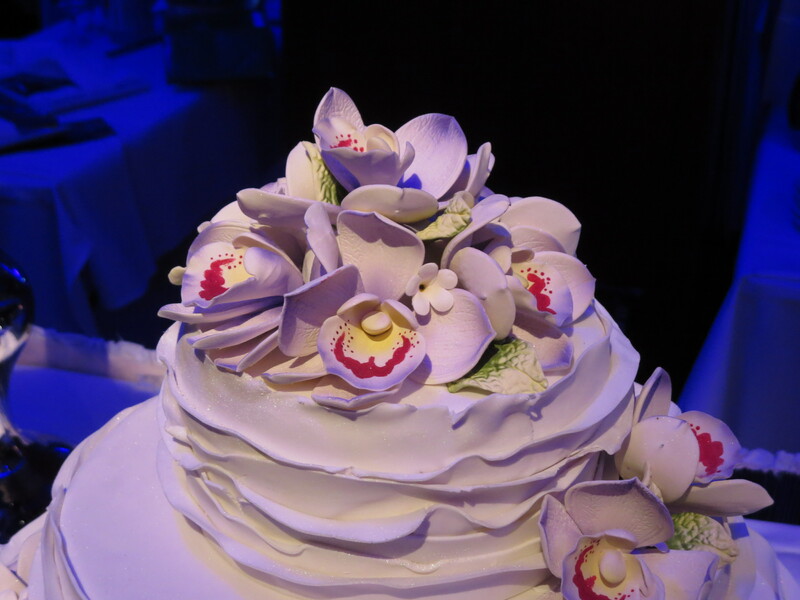 (My favourite was the white chocolate cake with the hazelnut filling.) Chef Vergalito’s gelato was also a hit – who ever heard of mojito flavoured gelato? Yum! As you might expect when each winery is pouring the winemaker’s favourite, there were many lovely wines, and some interesting stories behind the selections. Josephs Estates’ winemaker, Katherine Reid, had an especially interesting reason for choosing their Chenin Blanc 2011. She explained to us that the 2011 vintage is the last one there will ever be from those vines because they were damaged over a couple of winters and they ended up tearing them out. Pillitteri Estates Winery was pouring their Riserva Famiglia Appassimento Cabernet Franc 2010. This is the first appassimento style Pillitteri has made and given that they only label wines from their very best vintages “Riserva Famiglia”, you know that this is a very special wine. In terms of our favourite wines that evening, my sister loved the Rennie Estate G Assemblage 2012, an appassimento style Bordeaux blend. 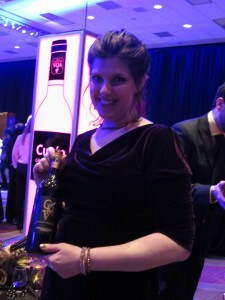 My favourite wine of the evening was Kacaba Vineyards’ Cabernet France Reserve 2010. And, just when we thought we had had had we could eat and drink, they opened a side room for the Apres Cuvee party. The after party featured a live band and two additional wine stations serving a variety of Ontario bubbly and Icewines. And, for those who had had enough wine, this year they also had stations serving Ontario craft beer. The idea behind the wines served at the Cuvée Grand Tasting is that each winemaker serves his or her favourite. If you weren’t able to attend the Grand Tasting last night – don’t worry – you can stop in at any of the wineries and try them – and buy them – there. Cuvee en Route – a passport tasting program with over 30 wineries serving special themed tasting flights. Benchmark Restaurant – the restaurant at the Canadian Food and Wine Institute, which is on Niagara College’s campus. In talking with some of the chefs that will be cooking at Cuvée 2015’s Grand Tasting (Friday, Feb. 27th) I was struck by how calm they are about cooking for hundreds and hundreds of guests. What I also found interesting was the different factors they considered when designing the dishes they’ll be serving. When cooking at Cuvée, It goes without saying that the goal is to impress (or, as Chef Del Priore put it: the Wow factor). But that’s not the only factor the chefs mentioned as being important. 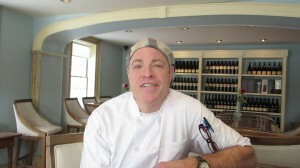 Using unique ingredients was key for Chef Downes. (I think it’s safe to say that his choice of pickled tongue fits the unique ingredient criterion!) 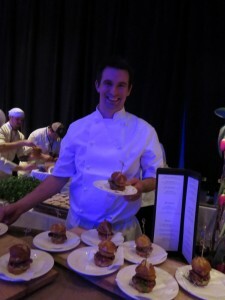 Local ingredients – and the challenge of sourcing them in the dead of winter – was a consideration Chef Midgley mentioned. For Chef Jason Parsons, Executive Chef at Peller Estates Winery, the choice of cooking technique also played an important role in deciding what he’d serve. 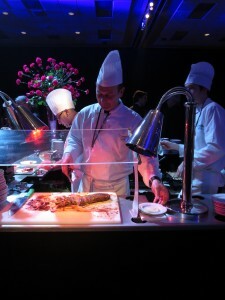 When he learned he’d been invited to participate in Cuvée this year, he quickly decided that sous vide was the way to go. 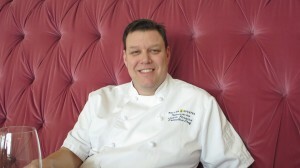 The technique, which Parsons admitted can sound like boil-in-a-bag, allows the chef to bring the food to a certain temperature and then maintain it without overcooking or changing the taste or texture. 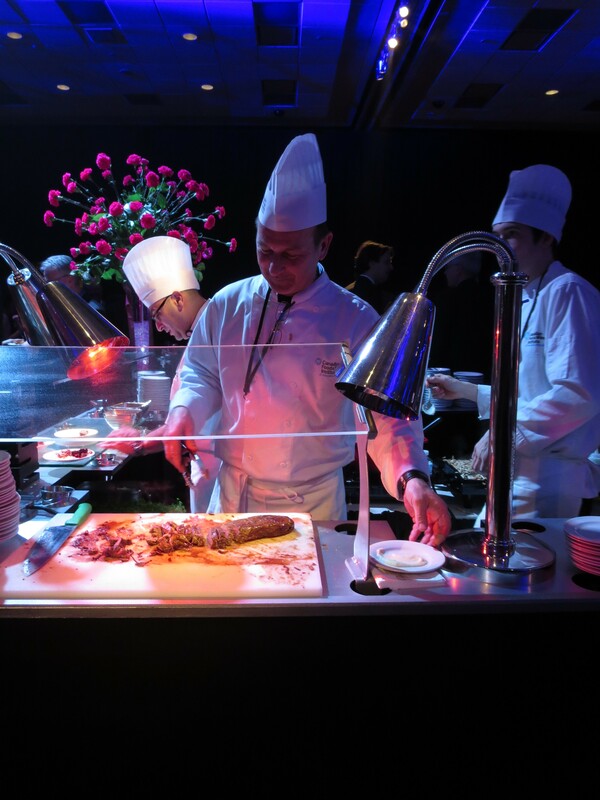 As a result, it’s a great way to ensure that every guest gets a serving that’s cooked to perfection, regardless of whether they are the first person served or the 700th person served. 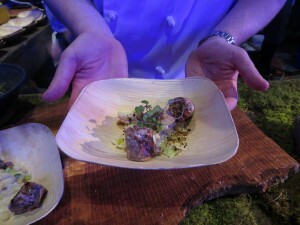 Parsons and his team will be serving two dishes at Cuvée: a sous vide salmon and a wild boar sausage. Here’s a short video of Chef Parsons talking about Cuvée – and extolling the virtues of sous vide cooking! Despite the sub-zero temps, a fellow writer and I bundled up and headed down to Niagara-on-the-Lake for Days of Wine and Chocolate. You know it’s going to be a good day when your first stop involves bubbly — and Peller Estates’ Ice Cuvée Classic never disappoints. 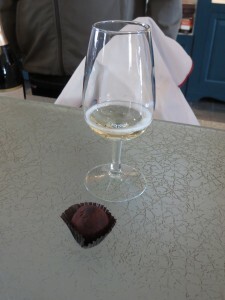 The traditional method bubbly pairs very nicely with the dark, rich sea salt caramel infused Valrhona dark chocolate truffle they are serving up for the event. We then popped next door to the Two Sisters Vineyards — one of the newest wineries in Niagara-on-the-Lake. It’s only been open for a few months, but you’d never know it when you walk it. It’s definitely built with the idea of being a destination winery. 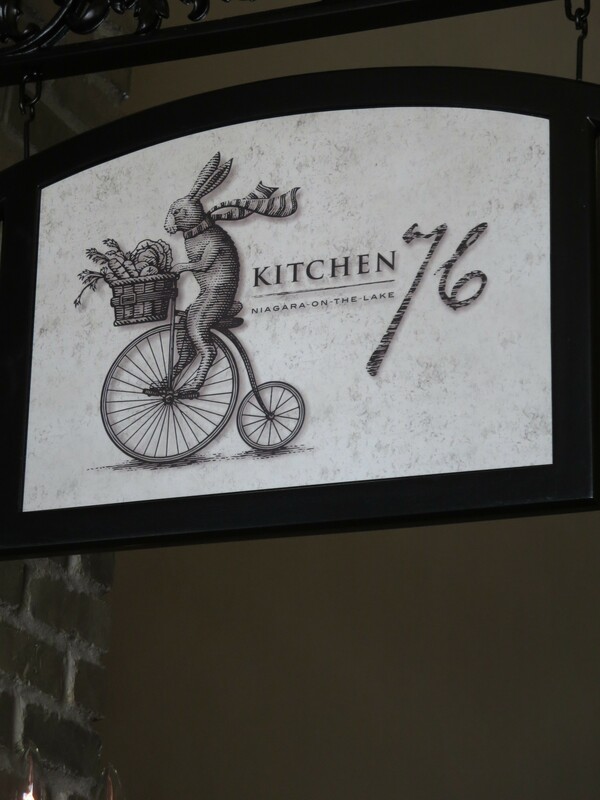 They have a restaurant on site: Kitchen 76, which gets its name from the fact that the winery property is 76 acres. 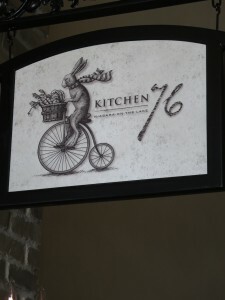 For Days of Wine and Chocolate they are serving their 2011 Eleventh Post, a red blend, paired with a roasted mushroom crostini with gorgonzola and a drizzle of their chocolate-infused “Agrodulce sauce”. Though the crostini was just a nibble, it was a sophisticated melding of tastes that reflects well on the culinary talent in the kitchen. 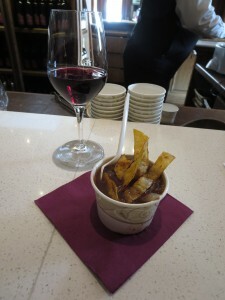 Our favourite pairing of the day was at Reif Estate Winery– they are serving a chocolate chicken tortilla soup that has a little heat on the finish. The soup pairs very well with their 2011 Merlot. We stopped in at PondView Estate Winery because I was interested in learning about Burnt Ship Bay wines, which were just released at Vintages. I knew there was some connection between Burnt Ship Bay and Pondview, but I wasn’t sure whether Burnt Ship Bay is a virtual winery that Pondview hosts. It turns out that the winemaker behind Burnt Ship Bay Estate Winery is Fred Di Profio, who is the winemaker at PondView and Di Profio Wines (which is owned by Fred’s parents). Unfortunately, for licensing reasons, Burnt Ship Bay wines are not available for tasting at PondView. Anyway, once I got the info I was looking for about Burnt Ship Bay, we turned our attention back to what PondView is serving for Days of Wine and Chocolate. I have to say, when I read they are serving a chocolate coated strawberry, I was kind underwhelmed. The choice didn’t seem that creative or special. Well, the strawberries were not just special — they were spectacular — in taste, as well as in attractiveness. Apparently the strawberries are made by a local company called Strawberry Obsessions. 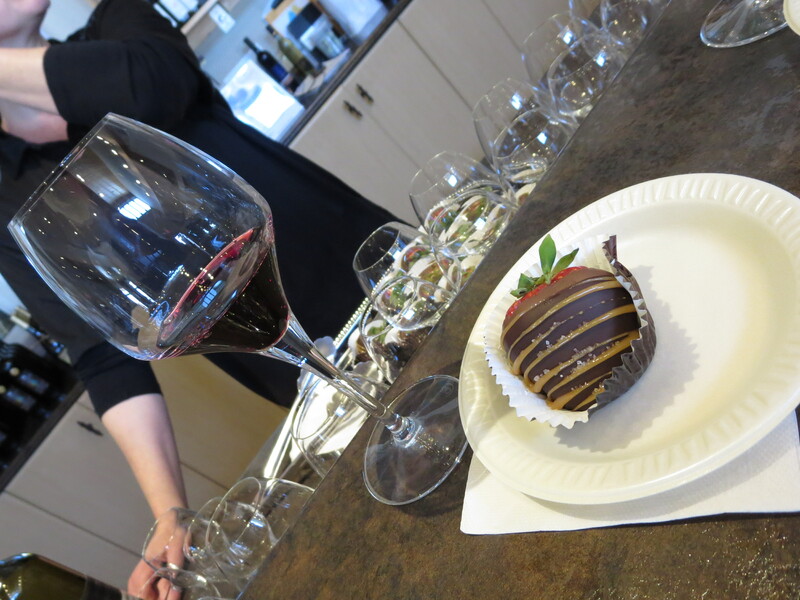 For this event PondView is serving their 2012 Cabernet Merlot Reserve paired with strawberries that are first dipped in milk chocolate and then dipped in dark chocolate, and then drizzled with caramel and dusted with sea salt. Both of us agreed that the strawberries were the culinary highlight of the day. We decided to end the day as we had started — with some bubbly and a truffle. Trius Winery at Hillebrand had just what we were looking for. 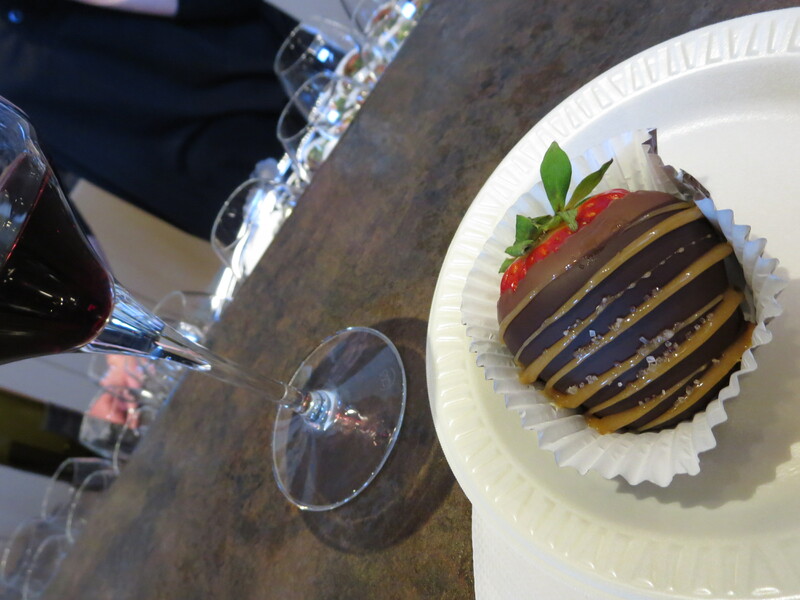 They are serving their Trius Brut Rosé paired with a dark chocolate and bacon truffle. 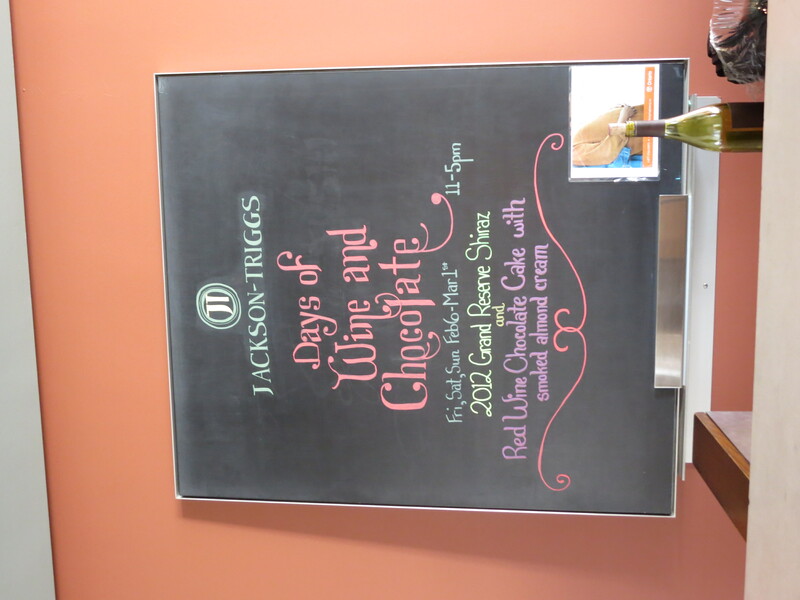 Days of Wine and Chocolate continues on weekends (Fridays – Sundays) this month. Cuvée’s Grand Tasting is the opportunity to enjoy Ontario wines you may not have tried before, or that you may not have too often. Turns out, it’s also a chance to enjoy food you may not have too often – at least if you stop by Chef Justin Downes’s food station. Chef Downes, the Executive Chef at The Restaurant at Vineland Estates, will be serving two things: pickled tongue sliders and a spin on a niçoise featuring fresh rare seared tuna with octopus salad. 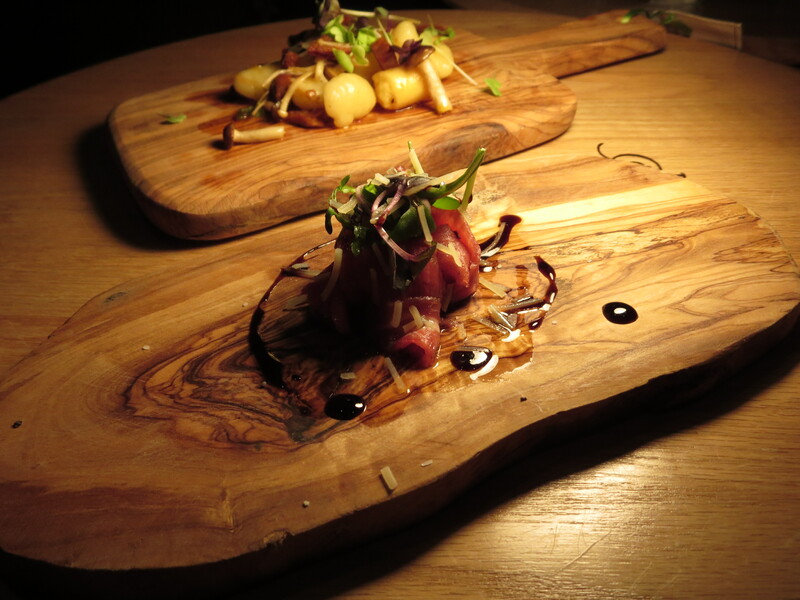 You read that right – pickled tongue! In choosing what he’d serve, Downes, who has been at Vineland Estates for 14 years, wanted to offer up something out of the ordinary and tongue certainly is that! Mind you, he’s served tongue for quite some time at The Restaurant at Vineland Estates and he says it’s gone over quite well. 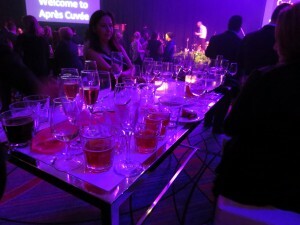 Given the number of people who attend Cuvée, I wondered whether serving hundreds of people presents particular challenges. 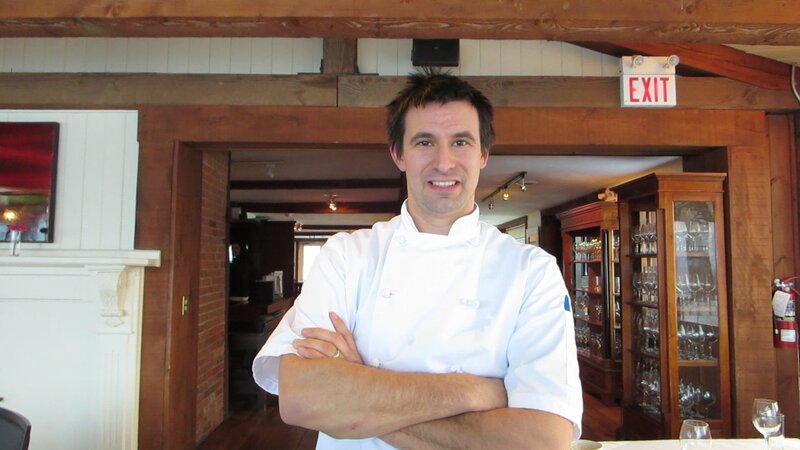 Downes explained that it’s not that different from serving in the restaurant because he and his team simply plate them and serve them one-at-a time – it’s not like trying to serve 500 hot entrees all at the same time as you would a sit-down banquet. 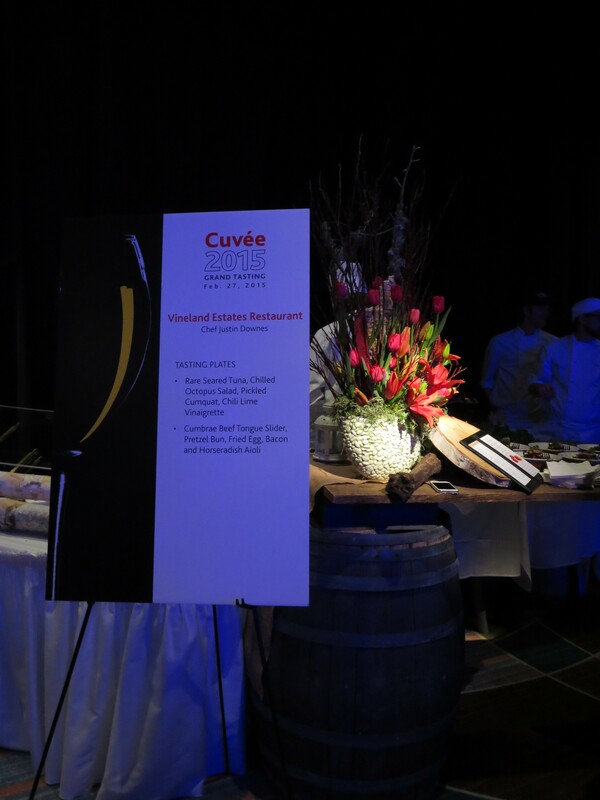 Cuvée is all about showcasing the best of Ontario wine and food, and the Grand Tasting on Friday night (Feb. 27th) is undoubtedly the highlight of the weekend. It’s a given that the wines will wow – the winemakers are pouring their favourites. Getting the wow factor right in the food department is a bit trickier, but a welcome challenge for the 13 chefs who will be serving up their special creations at the gala. In the next few posts I’ll talk a bit about what a few chefs who will be at Cuvée have to say about the event. 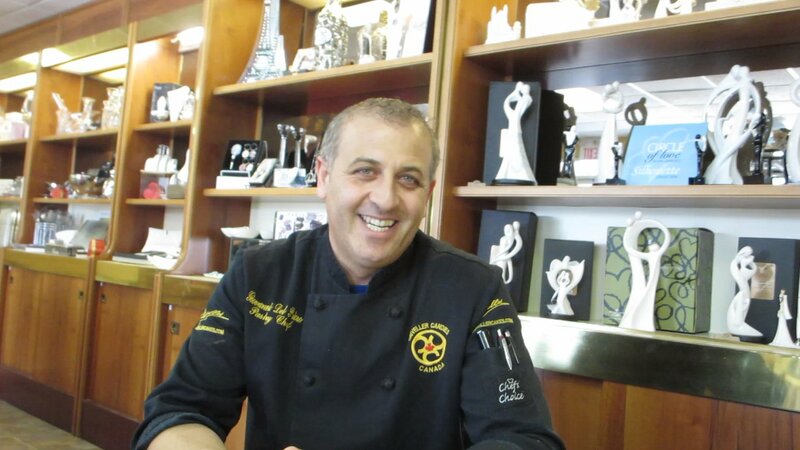 Chef Del Priore talked about the challenge he and his team face. 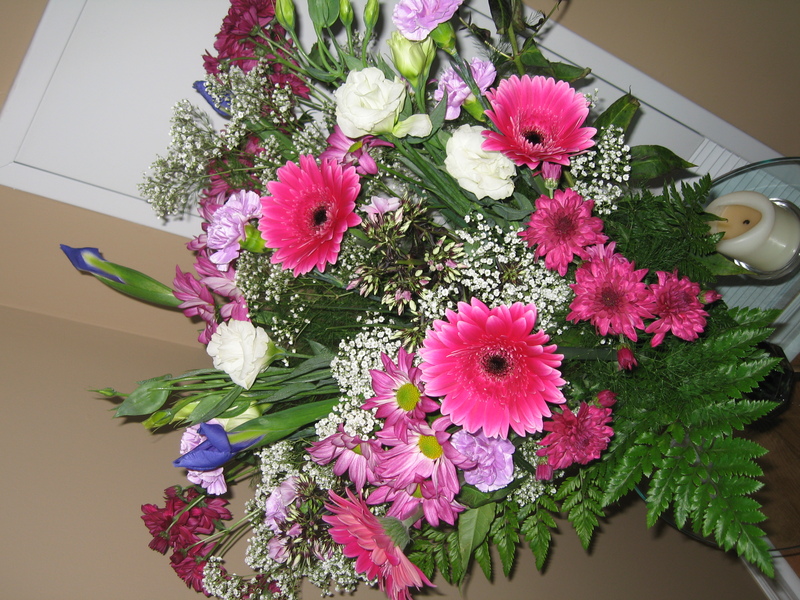 “We have one of the largest stations – only the Fallsview Casino’s station is bigger. 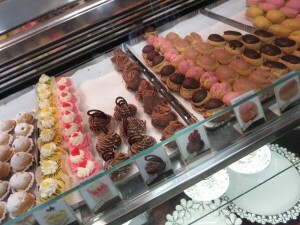 The reason ours is so big is because pretty much all the guests eat dessert, while they might not try something at all the stations – most people eat at least one dessert,” says Del Priore. Last week a friend and I dropped in on Criveller Cakes and Chef Del Priore showed us around and talked about Cuvée. 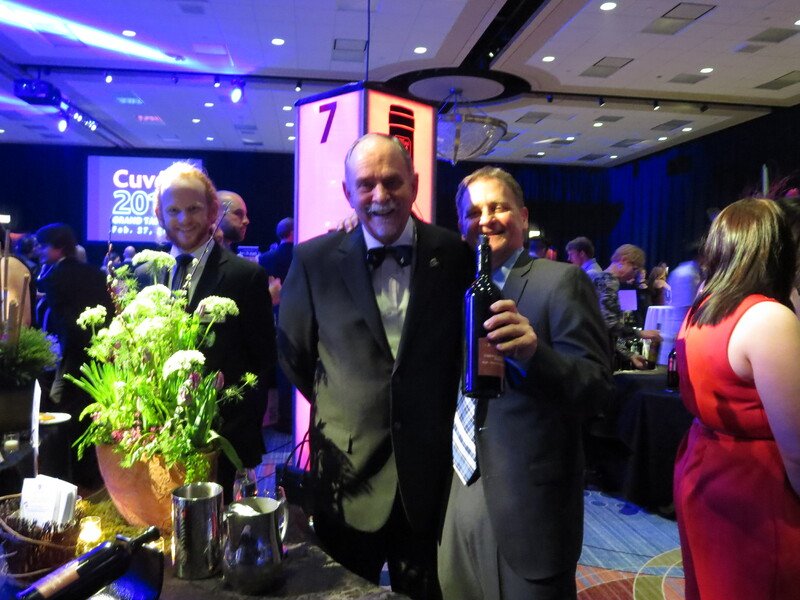 Click here to watch a short video of Chef Del Prioe talking about Cuvée. Warning: your mouth may water and you may find yourself craving chocolate. I played hooky from my real work today and a girlfriend and I stopped in at some wineries for the first day of the annual Days of Wine and Chocolate event. The wineries of Niagara-on-the-Lake have been running this February event for some time but this was the first time I’ve been. En route to the wineries we stopped in at Criveller Cakes in Niagara Falls – a fabulous European pastry and chocolate shop. 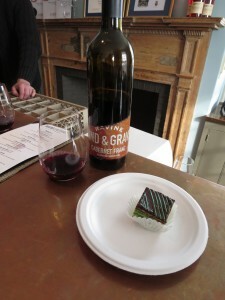 While there, we sampled a few decadent desserts, so when we were choosing the wineries we’d stop in at, we made sure we stopped at a few that had pairings that didn’t involve dessert. 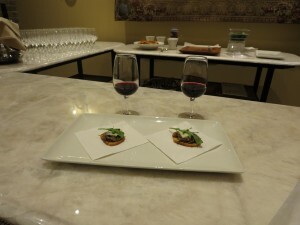 We stopped at four wineries – two that were featuring pairings with savory nibbles, and two that were featuring pairings with dessert items. Rancourt Winery served their lovely, oaky 2013 Chardonnay Reserve paired with Lobster Bisque with White Chocolate Shavings. The oak in the Chardonnay paired very well with the rich bisque. Stratus was serving their 2010 Tollgate Fume Blanc paired with Roasted Fennel, Beet, & Dark Chocolate Salad prepared by Treadwell’s. One of the few tastes I really do not like is licorice – and fennel is basically a licorice-flavoured plant. So, let’s just say I was ambivalent about whether to stop in at Stratus. But, I do love Fume Blanc (and it’s not a particularly common wine these days in Ontario), so I thought I should be open to the idea. Well – I’m sure glad I did. 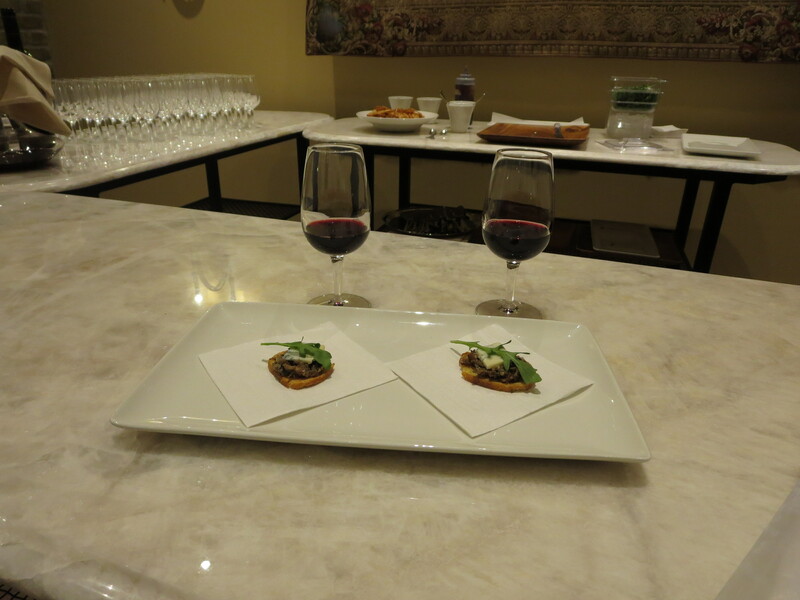 The wine was gorgeous and the appetizer was exceptional. The roasting seemed to take away the (dreaded) licorice flavour and the sugars in the beets. The vinaigrette had little nuggets of chocolate, and a week bit of crunch and a lovely finish that brings the whole thing together. This pairing is one of the best I’ve had at such events. Don’t miss it – even one of the ingredients turns you off – the whole truly is greater than the sum of its parts. 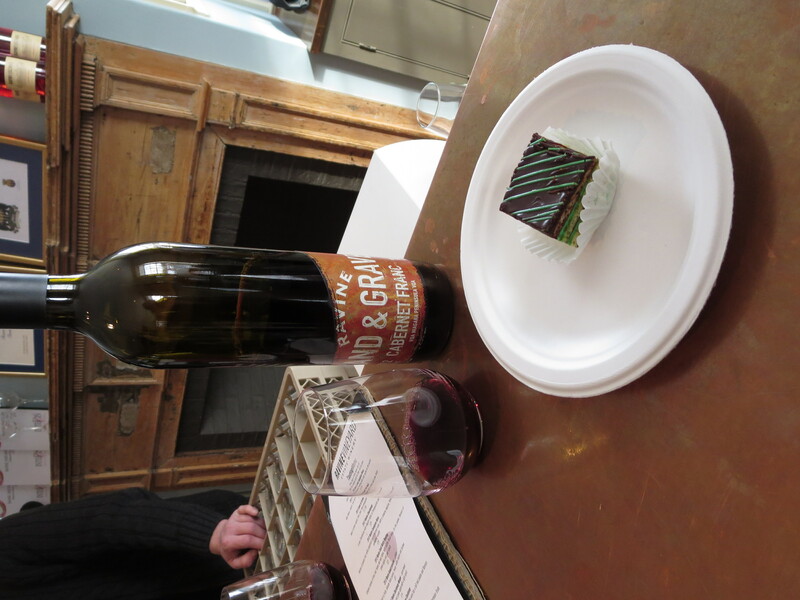 Ravine Vineyards is serving their not-yet-released 2012 Sand & Gravel Cabernet Franc and they are pairing it with a light, tasty Chocolate Mint Opera Cake. The pastry chef at Ravine did a lovely job with the opera cake – just a hint of mint. This too was a surprisingly tasty pairing. 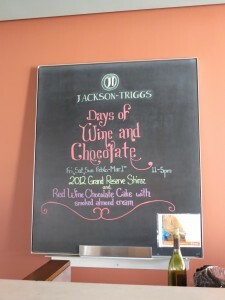 Days of Wine and Chocolate continues on Fridays-Sundays (11 -5 p.m.) all month. 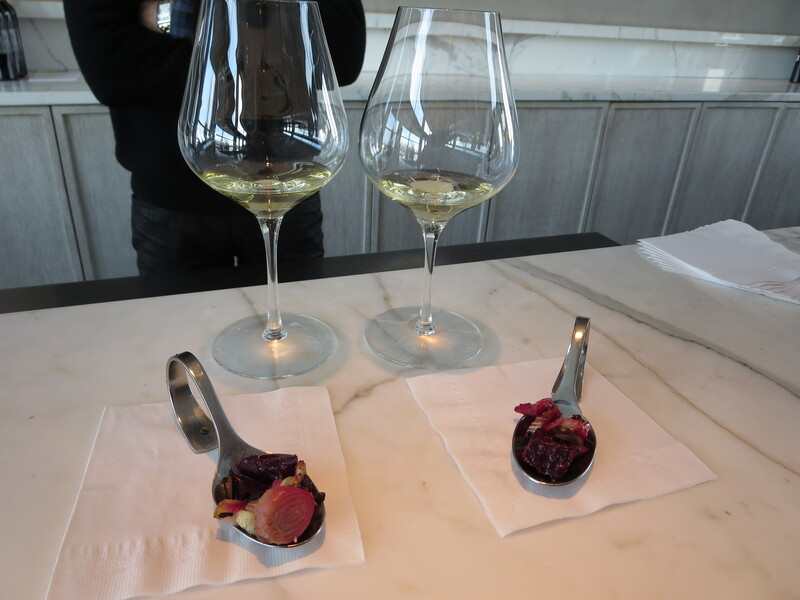 Anyway – if the reasons I’ve already mentioned aren’t enough to win you over to the “loving February side”, the wineries of Ontario go all-out in February to get your mind off winter. The wineries of Niagara-on-the-Lake, for example, are hosting their Days of Wine and Chocolate (more on that in a minute) on weekends throughout the month and on Feb. 7 and 8 the wineries in the Lake Erie/Pelee Island region (EPIC, as it’s known) are having their Festival of Ice, and at the end of the month is Cuvée (which I’ll be writing more about in coming posts). 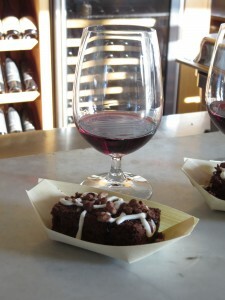 As well, various wineries are hosting winter-themed events. 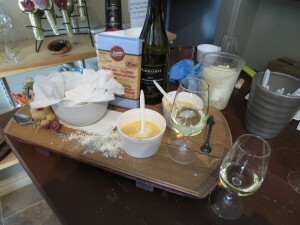 Here’s just a sample of what you’ll find: Georgian Hills hosts an Après Ski tasting of their Vidal Frozen Wine and chocolates and roasted marshmallows ($20/person), on Saturday afternoons there’s Raclette at Malivoire with The Cheesy Guys ($10/person and it includes tasting of 3 wines – great deal! ), Peninsula Ridge’s lovely restaurant is featuring a very reasonably priced ($24.95) Surf & Turf dinner every Wednesday, Thursday and Friday. As well, many wineries are hosting Valentine’s Day dinners. So – really – what’s not to love about February? 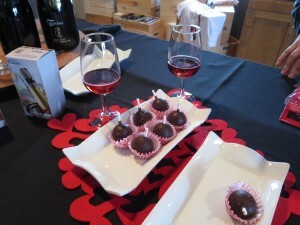 As mentioned, 27 wineries in the Niagara-on-the-Lake region are hosing Days of Wine and Chocolate on Fridays-Sundays in February (ending on Sunday, March 1) from 11-5 p.m. 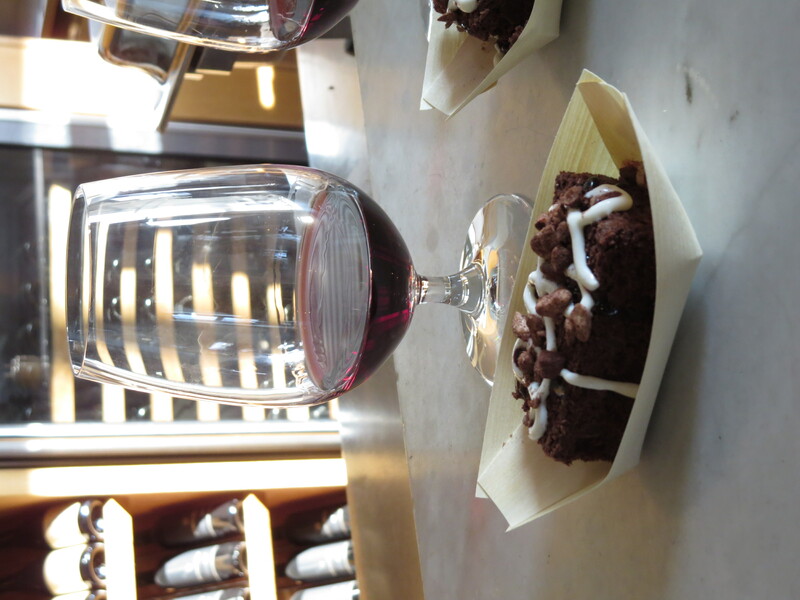 The passports ($35/person; $30/person for designated driver passports) are good throughout the event, which means you can enjoy wine and chocolate all month long. Tickets can be purchased on line and at participating wineries.